Emily Herdeman Kelly enjoys a rewarding career as a performer and educator. An experienced orchestral musician, Ms. Kelly has been seen with the Houston Symphony, Austin Symphony, San Antonio Symphony, New World Symphony, Houston Grand Opera, Houston Ballet, Wisconsin Chamber Orchestra, and River Oaks Chamber Orchestra. She has participated in professional and fellowship orchestra festivals including the Britt Festival, Colorado Music Festival, Tanglewood Music Center, Round Top Festival Institute, and the Beijing International Music Festival in China. Ms. Kelly is a dedicated teacher and is currently a Seattle Symphony Teaching Artist and has a private studio in Redmond, WA. She has been Adjunct Instructor at Carnegie Mellon University (Pittsburgh, PA) and on faculty at Rice University Preparatory Program (Houston, TX). She was awarded a teaching fellowship through MusAid where she had the opportunity to teach and perform in San Salvador, El Salvador. Ms. Kelly has a heart for service and in addition to regular performances at libraries, hospitals, and retirement communities, she has volunteered with the nationally recognized programs Music for Autism and Purple Songs Can Fly. She has completed Suzuki training through Book 3 and has additional studies in pedagogy with Mimi Zweig and Kenneth Goldsmith. Ms. Kelly is a member of the American String Teachers Association (ASTA). 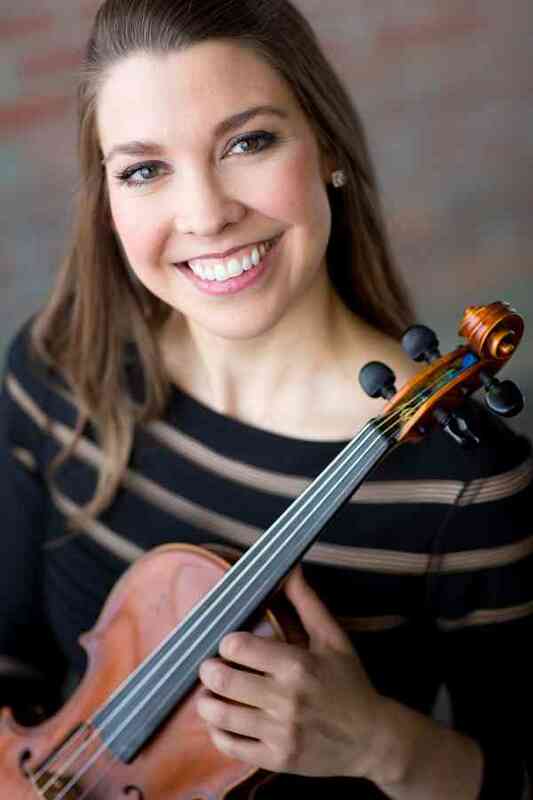 Her principal teachers include Paul Biss and Kathleen Winkler, and she holds Bachelors degrees in Economics and Violin Performance from Indiana University, and a Master of Music degree from Rice University. When she’s not busy with practicing, rehearsing, or teaching, Ms. Kelly finds herself reading, cooking, drinking tea, exercising, traveling, and learning Spanish.